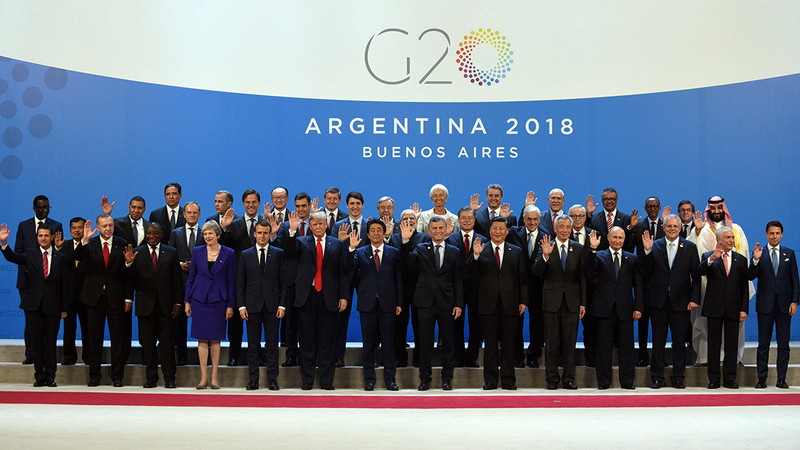 On 4 December 2018, the G20 Summit was held in Buenos Aires with the Heads of State and Government of the twenty countries involved, including emerging countries, and representing 85% of world trade and 90% of global GDP. 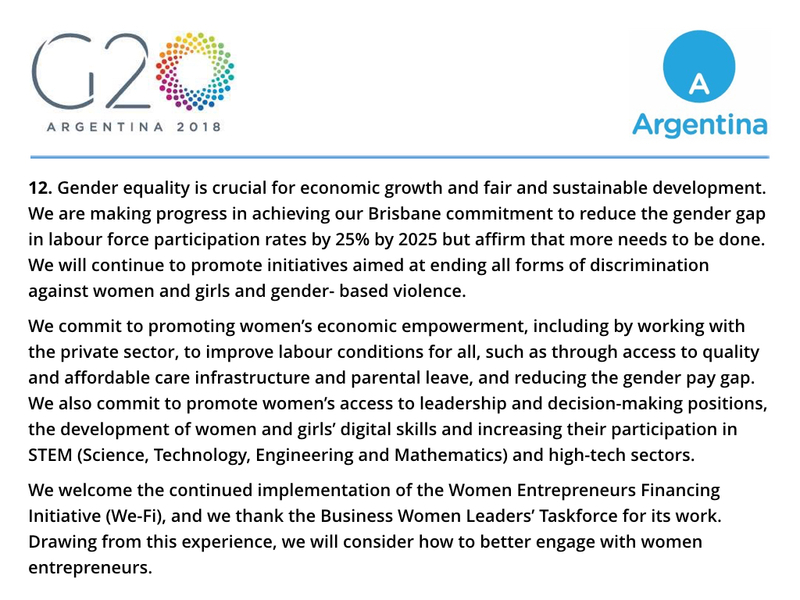 The final declaration of the 2018 G20 Summit, which is based on a consensus, has followed many of the W20’s recommendations and includes an article dedicated to gender equality. The W20 recommendations are the result of a collective reflection which brings together the diverse skills and expertise of women’s civil society organizations and female entrepreneurs. 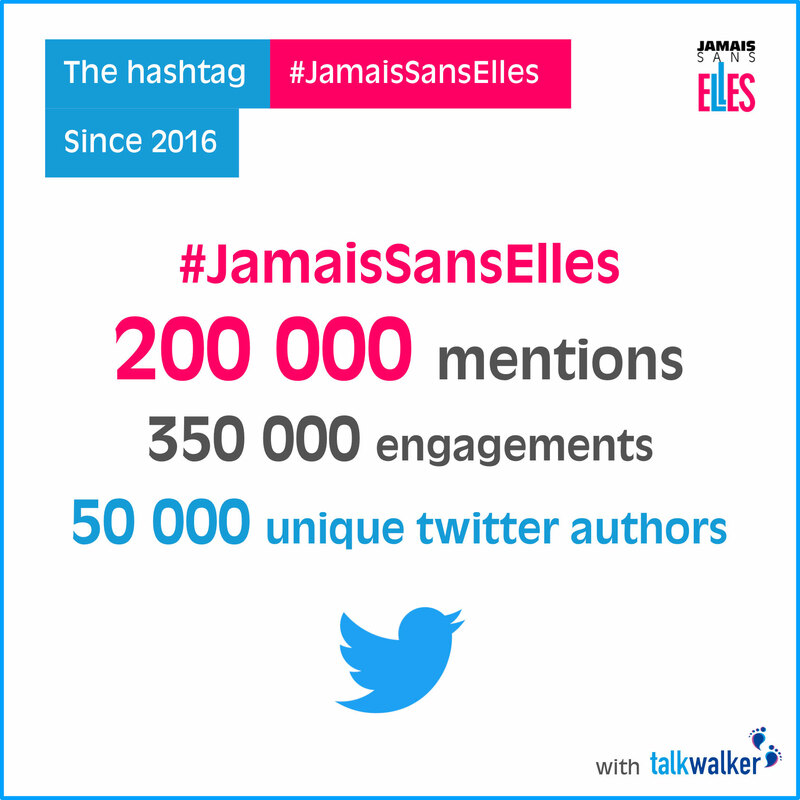 #JamaisSansElles” is the W20 head of the Delegation for France. Point 8 underlines the importance of girls’ education. Point 9 seeks “to maximize the benefits of digitalization and emerging technologies for innovative growth and productivity” and stresses the importance of reducing the gender digital gap and promoting digital inclusion. 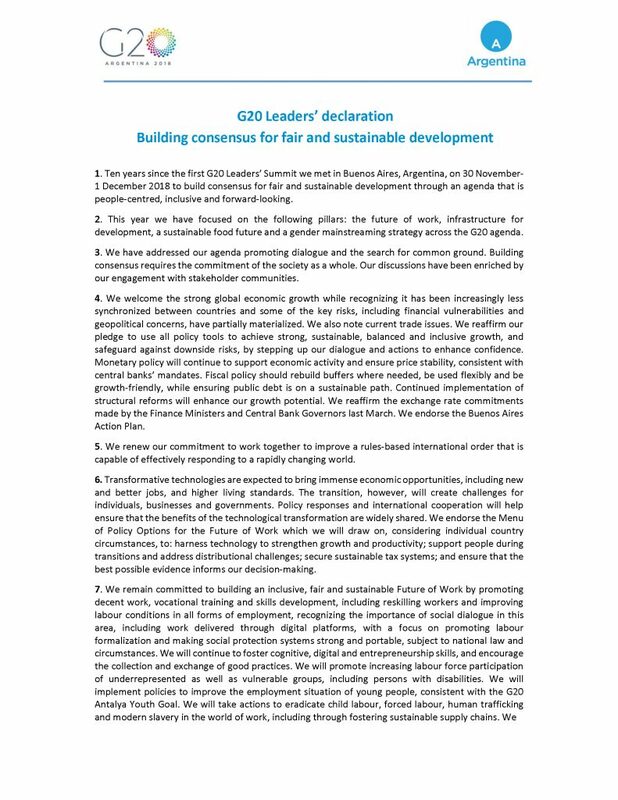 Last but not least, point 12 is probably the most conclusive, stating that “gender equality is crucial for economic growth and fair and sustainable development. Leaders commit to reinforcing their efforts in order to achieve the Brisbane 25×25 objective. They acknowledge all forms of discrimination against women and girls, and gender-based violence, and commit to promoting initiatives aimed at ending them. As regards women’s economic empowerment, they call for the promotion of access to affordable, quality health care infrastructure, and parental leave, and for the reduction of the gender pay gap. Leaders commit to promoting women’s access to leadership positions and their participation in STEM areas (Science, Technology, Engineering and Mathematics). They also commit to continuing to support the We-Fi initiative and to working better with women entrepreneurs. The W20’s work is continuing as part of the next G20 in Osaka, Japan. The Women 20 Summit 2019 will take place on March 23 and 24 in Tokyo. 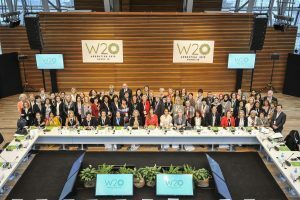 Although these important summits, and the various meetings organized around the world to prepare them, represent key stages of international collaboration in this particular field, the W20 delegates all remain in close contact throughout the year, too, in order to develop common actions and ideas in their respective countries and globally, as well. Magnifique engagement, travail et restitution de vos échanges .Merci de faire avancer la cause des femmes au plus haut niveau. Un investissement qui fait sens et vous honore.